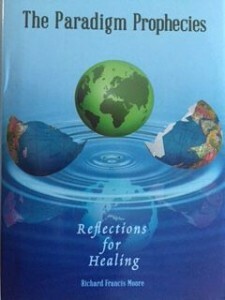 The Paradigm Prophecies (Reflections for Healing) was released by Trafford Publishing in September 2016. The Paradigm Prophecies fuses prose and poetry in a unique format. It supports the healing energies of family, friends, communities, and all the cultures encircling the globe, potentially nurturing the entire population of the planet now and in the future. For those interested in receiving a formal book Proposal, or any other specific information regarding my book and writings, you are welcome to make your requests. To do so simply use the contact information provided on the websites closing “contact” page. The following five minute video short was recorded in March of 2010 as part of a contest sponsored by Hampton Roads to publish “The Next Great Spiritual Author”. My book was one of nearly 3,000 entries and advanced to the round of 250 before 50 were selected to continue on. The process provided me with great growth, encouragement and support with well over 1000 votes that I know were cast for the book. More importantly I received many constructive suggestions that resulted in my rewriting a vastly improved book over an 8 month period. Improved in terms of the clarity of it’s healing messages, as told through the logical flow of these healing stories being shared. While the video is slightly dated (in that my title and book has positively evolved), the content remains a meaningful expression of the intention of sharing my book on healing themes. Thank you for taking the time to view it further. Like any endeavor, writing and advancing a book is NOT easy. I am now working diligently in approaching traditional publishing firms in the hopes of finalizing a publishing timetable later in 2011. I am also preparing a possible alternative plan to pursue other self-publishing options in my attempts for a release date of late 2011 or early 2012.